For many governments, how a country looks after its own health is often the cornerstone of any successful political campaign. Even if budgets rise for healthcare systems, aging populations mean that health services are being stretched more than ever. So, where do healthcare organizations even begin to try and become more streamlined and deliver a service that’s equivalent to other industries? To continue to meet performance goals, the global healthcare system has to evolve and mobile technology will be at the very heart of this change. Technology is key to any 21st century business and healthcare is no different. The hospital of tomorrow will be a shadow of what it is today and if the right decisions are made, technology innovation will start to deliver huge benefits; not just to hospitals but the patients it supports. Mobile technology allows information to move more quickly, accurately and securely than is currently possible in the healthcare sector. We are already seeing organizations put mobile at the heart of their infrastructure, to the benefit of their staff, patients and visitors. With time, it will become the de-facto model for the industry. ICT investments will see a boost in the four core healthcare markets of Middle East and Africa. 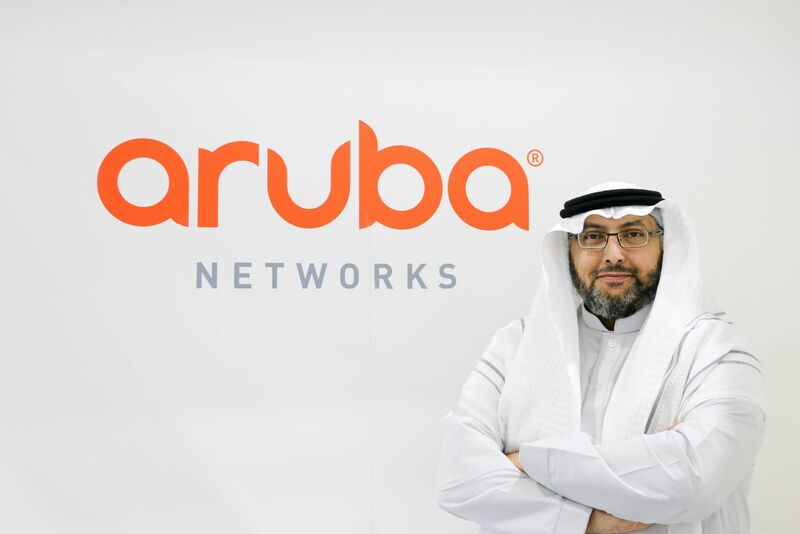 According to the newly released data by International Data Corporation (IDC), spending on IT services and products among healthcare providers in Saudi Arabia, South Africa, Turkey, and the UAE will grow by 70 percent over the next five years, expanding at 11.2 percent CAGR over the five-year period from 2013 to 2018. Nino Giguashvili, senior research analyst for IDC Health Insights says, "While these markets present exceptional opportunities to healthcare IT suppliers across the whole ecosystem, it is the right time to focus on mobile solutions to healthcare providers' organizational needs, and MEA's healthcare challenges overall". The mCloud will be a centralized, secure hub used for storing patient information that is accessible anywhere and anytime across the globe. A centralized hub will mean tomorrow’s medical records will be stored entirely on a private and secure cloud service that can be accessed wherever and whenever required. This will drive efficiencies through the roof. mCloud allows hospitals to be part of a global, safe and secure network that gives doctors a broader set of records and a much more robust and holistic view of a patient. The money saved on issues like incorrect diagnosis could be reinvested into R&D departments allowing healthcare organisations to expand at a much quicker rate than they are doing today. This centralized system will be enabled by an advanced Wi-Fi network experience that allows for the real time prioritization of data. This will save valuable time on diagnosis. Location services enabled by mobile technology will result in pieces of medical equipment being located much faster; items such as heart monitoring and other large diagnostic equipment will be easily located inside hospitals meaning patients will have access to the machines much quicker than is happening now. Beyond this, location-based mobile will give much more refined and detailed location services inside a building so doctors can track and trace things much quicker. Healthcare has traditionally lagged behind other key industries in terms of innovation – perhaps due to issues surrounding patient confidentiality. However, the hospital of tomorrow will make use of real-time data through the use of mobile software and devices, all allowing for more accurate diagnosis giving consultants greater visibility into a patients ailments and reducing misdiagnosis by over 75 percent. These rising levels of accuracy will also be driven by #GenMobile who will be sharing data on mobile devices such as smartphones, wearables and tablets. As more and more hospitals become reliant on networks, IT security will become paramount so departments will need to invest heavily in order to alleviate some of the concerns often associated with network security. From a management point of view, staffing levels will be much easier to control through the predictive capabilities of big data. Using mobile technology will see the rise of ‘virtual assistants’ meaning that facilities are managed in a much more efficient way. The management of beds will also mean patients are less likely to be waiting around for an empty bed, if beds are full or are about to become free, ward managers can be alerted to this in real time via their mobile device and react more effectively. Whilst it’s not believed all working environments will be paperless, there is a big push for many industries to go that way and healthcare is no different. The money spent on purchasing paper and document storage will reduce by over 80 percent equating to millions, if not billions of pounds saved each year. Regional data centers vs one central hub has been suggested as a way of easing many people’s fears that their records could be compromised, but as long as assurances over security are met, a paperless environment would have huge benefits to confidentiality. Within radiology, RIS and PACS systems have already led to paperless departments, saving space, time and enabling remote diagnosis from experts around the globe. The implementation of wireless communications systems and VoIP goes hand in hand with this decline of the paper world. Doctors will be able to communicate and collaborate with either individuals or groups with the touch of a button. The response time will be instantaneous and, by having all the right people are involved in the decision making process throughout, this will reduce errors and misdiagnosis. Poor communication will be a thing of the past. The hospital of tomorrow will be fully mobile, personalised and will resemble a modern day hotel. With the traditional hospital consulting room showing minimal improvement since World War II, many healthcare organisations have started to focus on ‘smart rooms,’ which will completely revolutionize the patient experience. 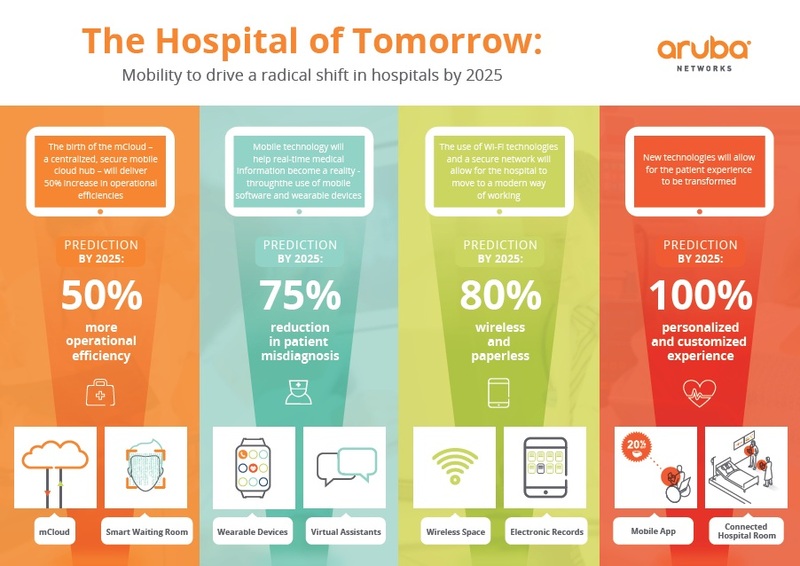 The rooms of tomorrow will be entirely connected and have the ability to communicate not just with consultants but also with the hospital as a whole. The hospitals' own personalized app will be at the very center of this. Computers and networks will connect both inside and outside the room. Remote consulting, which is already being trialled across various European countries will become the norm. We’ll also start to see hospitals use their own apps to enable patients to make appointments through their mobile devices. Patients and visitors will be able to locate amenities once in the hospital, send and receive personalised messages to nurses and physicians, and access diagnostic results electronically just a handful of benefits. The bedside care of patients will transform in a huge way with mobility at the very core. Results of tests such as x-rays can be shared in an instant with decisions on next steps being made much quicker than they are today. Doctors will then be able to share information with each other digitally which means patients will no longer be waiting hours for guidance on next steps. While the hospital of tomorrow is undoubtedly some years from becoming a reality, the technology is in place to begin the transformation now. It begins with a review of hospital networks and an understanding of who needs to use it. Medical staff, patients and visitors need to use the facilities in very different ways and with different devices, but we now have the capabilities to cater to each of these preferences. In order for healthcare organizations to take this step toward becoming smarter, more efficient and more comfortable for their patients leaders need to start considering and building around the digital age.